Chepiga (a GRU assassin with cover identity “Boshirov”) sold the car to the cover identity “Petrov” of another GRU assassin (Mishkin). It is not correct. Chepiga sold the car to Mishkin (real identity of “Petrov”). Probably Chepiga and Mishkin used their cover identities only for duty operations. Thus it can be concluded that the car is a “real” private property. The domain just happened to expire now after 3 years of service. Timing is a bit unfortunate, but I’m sure they’ll renew it. I am not so sure about this explanation. I think it is time to check if something bad has happened to people behind CIT. What do you know about Photoshop? Where is the evidence that you are an expert in this field? The bottom left part of the photo is clearly out of line with the upper part of the photo where the faked stamp is protruding much more to the left than the bottom edge of the photo. “Youri” , could you be more specific and detailed about the “Photoshop traces” ? Desperate and pathetic.Stamps are made of rubber and the person stamping rarely manages to hit their target squarely. It would be more suspicious if it was evenly printed because this rarely happens. Thanks but what do you mean? Could you try to be more precise. “out of line” , does it mean “not parallel” ? Or something else ? What Photoshop functions could have been to used to make it “out of line” ? Photoshop has several ways to correct perspective due to optics imperfections and make things “in line” or perfectly parallel . Did the villagers and Mischkin’ neighbours that recognised him on the photos and on TV also get “Photoshopped” ? Dear Youri, in my limited experience, Photoshop modification of images are either directly obvious and easily confirmed by more in depth analysis or difficult to spot but still leaving traces at lower levels. You seem to think there are some “clear” inconsistencies in the pictures but it’s obvious you have confused yourself. So, as a gentlemen, you are expected to excuse yourself, anybody can make mistakes. Now that both the car Mercedes GLS 350D with registration T 705 TT 99 and one of the possible home adresses, Ulitsa Perekopskaya 34-4 Moskva, of those GRU suspects, who are brought in connection with possible smearing Novichok on the car door of the red British registered BMW HD09 WAO, are in the clear open, it might be in interesting to draw attention on another interesting Russian car. Moskwa registered (FSB?) white Zhiguli with falsified Ryazan number K 602 VK “62” which was used by two FSB man and one FSB woman to transport 3 sacks of “Sugar” i.e. RDX Hexogen and an detonator to the Ryazan appartement, and where caught/arrested 24 hours later by the local authorities. Who were these three Moskovian FSB operators involved in the local Ryazan “Joint Police/FSB exercise Whirlwind”? Do they live freely next to “Borishov” and “Petrov” these days? Improve your grammar then first and learn to use spell-check at least. Who were the 12 GRU agents which according the senior lieutenant of GRU Alexey Viktorovich Galkin were involved in the Buynaksk appartement bombing of 4 September 1999? In order to put to bed some conspiracy theories can you include information of approximately when you acquired some of the databases used for evidence. (it is not clear if all information was acquired recently for this specific investigation or whether it is stuff you have acquired over many years). 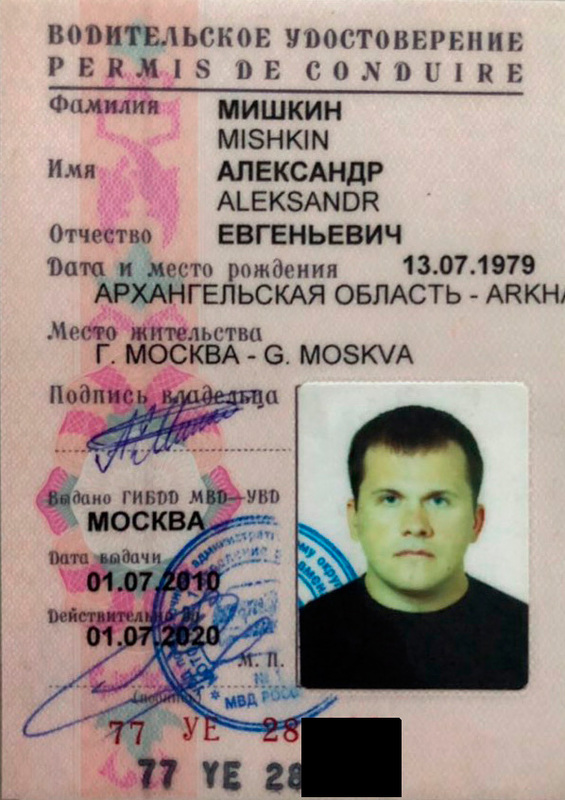 For example, does Mishkin’s birth date occur in any database acquired by Bellingcat prior to 2018? The question is to rule out any possibility you are being played / fed data say by GRU or other parties. Try to listen carefully as the loon called Graham Philips is shouting and blocking the view throughout the video. So, it was in a form that was safe to handle without a HAZMAT suit? So you’re now telling me the UK has spent millions decontaminating Salisbury, all kitted out with HAZMAT suits, when all they needed was gloves(didn’t save Bailey)and baby wipes? Ever considered a career as a contortionist? Ever considered a career as a contortionist, no funnily enough I haven’t, but you are clearly very well employed as a village idiot, does it pay well? The assassins obviously knew what they were dealing with, on account of the fact that someone made the nerve agent for them and presumably gave them instructions on how to apply it and avoid killing themselves. Very likely they would have carried out a number of rehearsals before they left Russia, so they knew exactly how to apply the nerve agent safely and quickly to a door handle and knew that this method of assassination could work. This incident was the first use of chemical weapons in Europe since the Second World War, our people engaged in the clean up, had no idea what they were dealing with, they had never had to clean up after an incident of this kind before, they were therefore quite rightly being extremely cautious, since they did not know what risk might be posed by anything contaminated by the Novichok. The Russian assassins for obvious reasons could not wear CBRN/hazmat suits, whereas our people could, since obviously they weren’t worried about being spotted walking around in this gear. Therefore since they had the gear better that they should wear it than not, imagine what the media would be saying if another policeman or a soldier had got seriously sick or had even died, because they were not wearing proper PPE, or if another member of the public got sick because they hadn’t cleaned up everything. Any other stupid objections you’d like to raise francesca ? ..one could only add that even with the training and observing of all precautions, application of or even handling of the Novichok agent was still a risky business this is why a military doctor was accompanying the killer. Otherwise, there would be no need for an “outsider” (the doctor) in the assassination team. You are doing fine “Francesca”, adding more tangents, gloves, glyphosate, baby wipes, still on page 15 of the “Internet subversions , lies and manipulations for dummies ” ? RX Hexogen is an explosive chemical not a toxic one. Only protection needed would be a bomb suit but if that lot went up it would not offer much protection. What protectionsuit did Ryazan bomb disposal squad member Yuri Tkachenko wear when in in the night of 22/23 september 1999 in the cellar of the Ryazan appartement he took the detonator device, consisting of a timer/electronic watch, battery, wires (something resembling a casing for a hunting riffle) and possible other electronics, out of the middle 50 kg bag with RDX hexogen, out of a total of 3 such bags? Yuri Tkachenko should be a Hero of Russiya, did he get a medal for what he did that night in that cellar in Ryazan? Which protection suit did the Ryazan bomb disposal squad member Yuri T. wear in the night of 22/23 September 1999 when he removed the detonator of the middle one of 3 sacks with 50 kg hexogen explosives “Sugar” in that cellar of that Ryazan appartement block? An excellent investigative channel and likely confirmation as to ‘who’s who’ in the Salisbury attack. However it would be good to see Bellingcat investigate with the same determination whether or not Yulia Skripal is an agent for the British Secret Service and had been recalled from Russia on Saturday [3.3.2018] due to her cover being compromised. This would explain the emphatic and quick reaction by Johnson and May that the poisoning was a Russian GRU [retaliatory] operation because they knew both Skripals were on the UK payroll and at least one [Yulia] being an active agent. Such an investigation might be difficult for UK based journalists because of contravening the Official Secrets Act and DSMA-Notices that have been issued pertinent to this case. Friends say snaps Yulia uploaded of him and members of her family on social media had recently vanished. Hello Jeroen: One thing I emphasised during lectures to Communications degree students, was to date, copy & save anything of interest on the web because it can be taken down anytime – more so now that ever. Exasperated by the ‘right to be forgotten’ – et al. Agreed Jeroen, the ‘boyfriend’ reason for giving-up life in England and going back to Russia a few years ago didn’t ring true to me and warrants investigation. The UK would have assisted in multiple entry visas for her boyfriend, and if they have such a close and long relationship – why not marry and have the best of all Worlds? Conversely, the boyfriend may have refused to settle in UK and/or Yulia genuinely prefers mother Russia. Interesting that the GRU duo arrived on 2nd, Yulia on 3d, poisoned on 4th March. DSMA-Notices issued to UK press on the 7th. A botched operation resulting in an innocent English women dying and the targets now in hiding. Heads should roll, even loyal Russians are laughing at the incompetence. Please provide some proof that Julia Skripal was British secret agent and thet she was called home or that her secret ways was discovered. BTW who are you be privy of such highly confidential information that not even RT or Sputnik is aware of ? You guys should turn to the page 16 of your “Brief guide of an internet diversant for dummies”, it says, “when it gets too hot, and all trick fail, you have been uncovered and all new attempts to say something lead to even more attention being paid to our inability to respond and make us look even more fully and stupid, cool it, wait until interest passes, stop making things worse than they are already”. BUT what has happened to the medievalist tourists Mr Borishov and Mr Petrov ? Did they even take a picture of the Salisbury cathedral or recorded ticking of the mediaeval clock (still in operation) ? No selfie with the clock tower? No nothing in any social media, FB, Instagram or their Russian counterparts? And looking at the their images from the cameras, perfect tourists with no camera hanging round their bellies? And no umbrella when it was supposed to snow? Normal businessmen have suppliers, customers, prospects, associates, employees, competitors, friends, family, neighbours, occasional acquaintances, school mates., home address, business adders… but for some reason Russian journalists were not able to localise anybody and interview any person knowing these two square faced fellows with sophisticated interests. Difficult not to think that both guys entered military career very early in their life, and lived inside the military since then. Working for GRU and special forces isolated them further from normal life, especially after been given false identities. “Neither will I administer a poison to anybody when asked to do so, nor will I suggest such a course.” part of the earliest surviving version, (ca. 275 AD), of the Hippocratic Oath. Did Aleksandr Mishkin take the Hippocratic oath when he graduated S Kirov Military Medical Academy, or became a doctor? Or didn’t he, only taking the military oath? “I, (full name), join the military and swear allegiance to the Russian Federation and its people. I swear to observe the Constitution and laws of the Russian Federation, to make demands of military regulations, orders of commanders and superiors entrusted to me legitimately duties. I swear, being in the military, be conscientious, honest, worthy to carry the associated difficulties. Courageously, sparing their lives, protect people and municipal interests of the Russian Federation. I swear not to use a weapon against their own people and their legitimately elected government. I undertake military service anywhere in the country and the Russian Federation to observe the laws of the country, on the ground that will perform military service. “I, (full name), do solemnly swear allegiance to their own homeland — Russian Federation. I swear to faithfully observe the Constitution of Russian Federation, strictly to make demands of military regulations, orders of commanders and superiors. How about this part of Hippocratic oath? Did Aleksandr Mishkin violate his oath? I wonder what his doctor granny thinks of all this?She must have recognized him the moment the British police released his photo.Dr Mishkins allegiance these days is only to the mob and the man with the scary and dead eyes plunged into the depths of depravity and murder a long time ago. Let the facts speak for themselves. Hundreds of family members and colleagues of Mishkin and Chepiga are now in hiding. It would be unsurprising if some of Bellingcats information had been unknowingly spoon fed to them by MI6 (not that I believe this)but that doesn’t mean its wrong.How about you and Putin coming up with a credible version of events? About me? I have nothing to do with that. There seems to be a campaign to miscredit BC, this is the point. So you agree the facts are correct?BC acknowledges the work others have contributed. Are you suggesting that BC is taking someone else’s glory?For me the truth is the point. The photo of Mishkins’ drivers licence at the archived citeam.org file looks very unconvincing and contradicting to common sense and formal logic. Looks like the fabrication to me. when you hear voices in your head, go to psychiatrists before you kill somebody. Yuri, it seems that it’s just one photo you have a problem with, what about all the others? Youri, you seem to have entered a base comment under different name, the “tourist”. I know, it’s late and you have several windows opened to differnet blogs. The nice and round phrase “contradicting to common sense and formal logic” is empty of meaning unless you provide this common sense explanation and a “formal logic” argument. And you have been unable to do that. I’m excited by a perceptive of an image analysis with “formal logic” !!! Are you sure you understand this notion ? How many times should I explain that the bottom part of the left edge of the photo does not aligns with the top part of the left edge. It is clearly seen with the naked eye. You better find the photo from CCTV cameras where Boshirov and Petrov or Chepiga and Mishkin or all four of them spray Novichok on Skripal’s door. Yuri, clearly you have paranoid schizophrenia. It’s obvious. The young Mishkin’s photo was on a thick sheet of photographic paper, cropped by a stamp (all four sides and round corners cut in one motion) and glued onto the drivers license blank. Yuri, you assumed that the cropping was as I sketched on the left at https://imgur.com/a/DxyGoxm . In imperfect reality it was cropped as I sketched on the right. Do you understand now? Yuri, I think I might know what you are talking about now,the black line on the left-hand side. I am fairly certain that this is a square on the page so that the person who sticks the photo on before laminating knows where to put it. It’s interesting that you talk about 4 assassins, where did you get that number from?